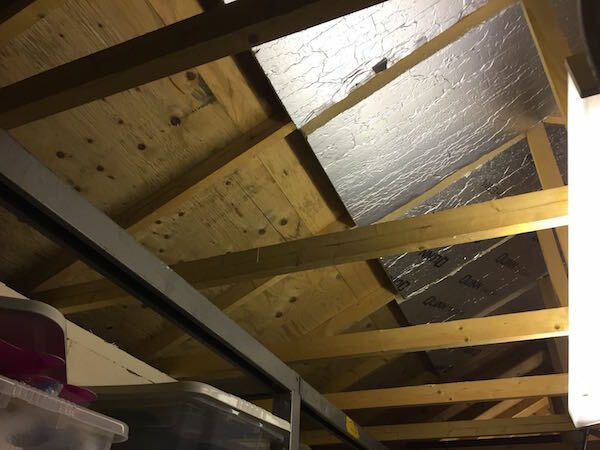 The Scouts’ headquarters premises needed its loft area insulated to the reduce risk of burst pipes, protect equipment, keep the building warm and save on heating bills. 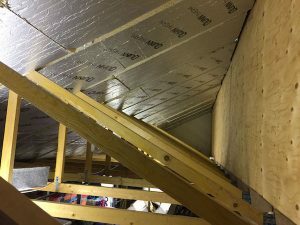 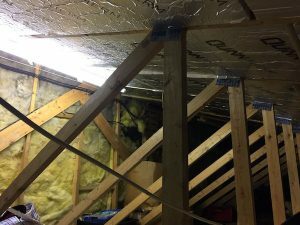 The only access to the loft area was via a small hatch which proved problematical when moving large sheets of ridged insulation into place ready for installation. 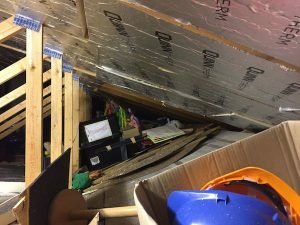 Once we had gained access, the available space we had to work in was very tight. The space in itself was very enclosed and work was hampered further as the area was used for storage and cables and services running between trusses. Whyte and Christie assessed the property and recommended and supplied 100mm insulation boards. 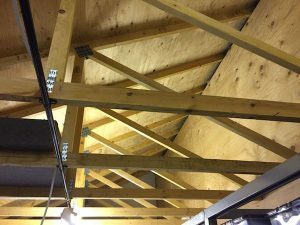 All boards were cut to size to ensure a fit tight in between roof trusses. The boards were then carefully moved into position and fitted tightly to create barrier to keep heat inside building. 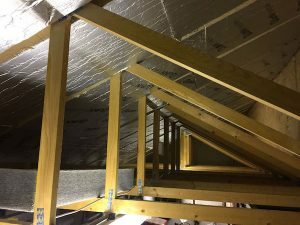 With the new insulation installed in between roof trusses the Scouts HQ building now has loft space which will keep the building warm during the winter months, save on heating bills and reduce the risk of burst pipes.